Which breakfast cereal to choose? When you visit the supermarket next to buy your regular groceries and breakfast cereal just stop by the aisle to check the big range that is available. The aisle is full of variety of cereals that claim to be the best to start the day. Your breakfast cereals are available in different forms like corn flakes, oat flakes, puffed wheat, puffed rice, frosties, bran flakes, muesli and this list is never ending and continues. Furthermore these different cereals are available for different age groups and even gender and different brands. All these brands claim to be the best as they all have various nutritional values on the food labels provided by them. You might choose separate brands or types for different members of your family based on their health needs. But, while choosing these do you ever look into the labels provided? The information provided can surprise you and seldom get you healthy. Breakfast is meant to break the fast that started previous night till the next morning and to do this we should choose a food which will not satiate us but provide us a good balance of all nutrients. Thus, don’t you feel that we need to look beyond advertising when we choose one of those colorful boxes with favorite cartoon or any other character? So what are those ingredients of the breakfast that we need to pore over for a better nutrition for our body right in the beginning of the day? SUGAR: Sugar is a key ingredient of most of the breakfast cereals. Logically it has to be present to certain extent as cereals provide you with carbohydrates, and sugar is also a carbohydrate in nature. Every cereal will contain some percent sugar. Ideally, it should be clearly mentioned on the food label as to how much of the total carbohydrate is simple sugars and how much is complex/ dietary fiber. This will help you in choosing the appropriate breakfast cereal as per your need. In young children eating sugary foods can lead to hyperactivity, dental issues and obesity too. Choose a breakfast cereal that has 5 grams of sugar or less per serving. The chocolate coated or the frosted ones contain very high sugars (as high as 20 grams/serving) and comparatively very little dietary fiber. On the nutritional label check for words such as “malted”, “honey coated”, or simply “flavored”. These are just flavored, which means they provide only flavor else it is added sugar……..the actual ingredient might not even be present in it. So steer them clear, and better choose the plain cereal. It is not at all healthy to start your day with very high levels of blood sugars. And yes if you prefer to make your cereal sweet, a better alternative would be adding fresh and dry fruits, actual honey and dates to your cereals. FIBRE: Look out for the word “whole” with every grain that is present in the cereal. That suggests for the dietary fibre present in the cereal. Dietary fiber is a very important ingredient that we need to check on the food label. It should be one of the reasons that we pick that particular cereal. Usually the ones which have high amounts of sugar in them tend to have low amounts of fibre of around 2g/serving. Choose the one which has at least 3-6g/serving or 20 g/100g. 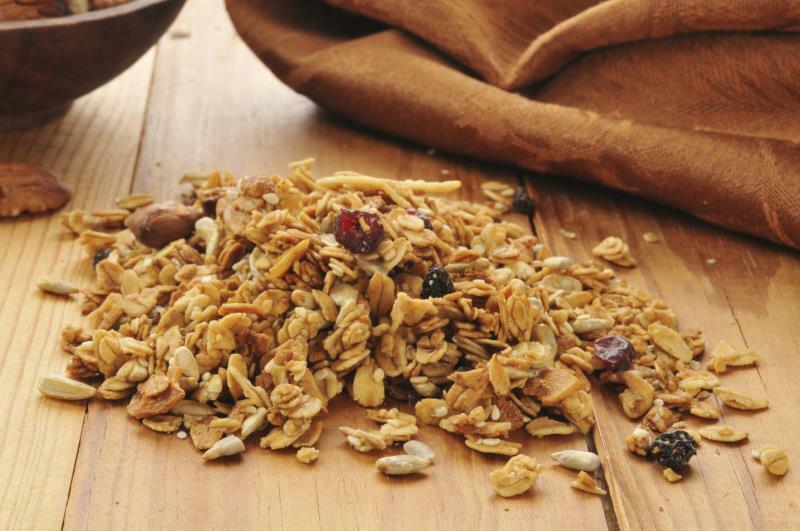 Oatmeal, bran flakes, puffed, shredded wheat also give high amounts of fibre. Also certain cereals may contain dried fruits like strawberries etc- don’t take them as a real fruit. Add your fruit which is real. Sodium/SALT: We as consumers might not be aware that cereals contain salt. In fact the processed one definitely contains sodium. Some of them may also have soda bi-carb in them. Further, if the salt or sodium content is not mentioned on the box it does not mean that sodium is not present. What should be considered as less/appropriate: 0.3g of salt or less /0.1g of sodium or less per 100g of the cereal. What should be considered as more/excess: 1.5g of salt or more/0.5g of sodium or more per 100g of the cereal. OTHER NUTRIENTS: We buy cereals to get those extra nutrients right. Children as well as a few of us who are not really into healthy eating should also consider the cereals which are fortified with nutrients such as calcium, iron folic acid, vitamin C, D. Just try and avoid the ones which are highly processed or may contain artificial flavours and preservatives in them. PROTEINS: Cereals are not a fantastic source of proteins as such. But, we can combine a few foods to make it a better source. That’s probably one reason that we have it with milk add nuts or yogurt/curds to it. Lastly choose a cereal that gives you around 200 kcals per serving. That is more than enough for one meal! To conclude, the new upcoming brands are making it absolutely difficult for us to choose a healthy breakfast cereal but, with sound knowledge we can definitely make a better and healthier choice to start our day.